Social satire about the punishment of the “haves” of society. Jo Jin Gap (Kim Dong Wook) was once a member of the national judo team. He protested against corruption in the game, and was kicked out of the sport. After that, he became a physical education teacher, however, due to his bad temper, he was again expelled from the profession. Having successfully passed the exam, Cho Jin Gap becomes a civil servant. He works as a labor inspector at the Ministry of Employment and Labor who puts the safety of workers first. 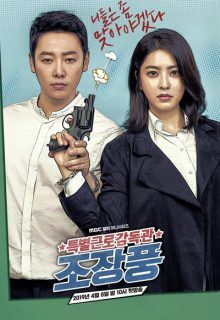 Zhu Mi Ran (Park Se Young) is the ex-wife of Jin Gap who is a police officer.